The general cargo suffered bottom and propeller damages while grounded at Flintrannan Channel, Denmark, the underwater inspection being carried out at Fowey, UK. 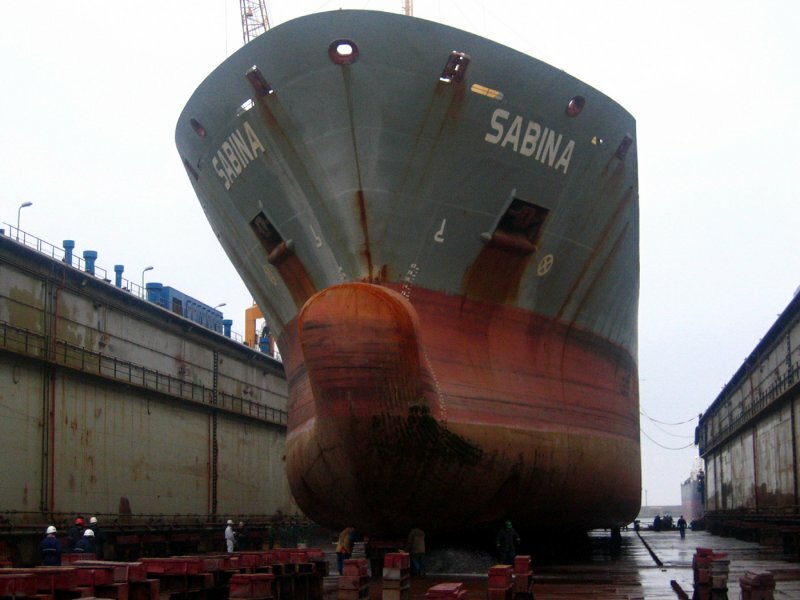 Bottom plating between frames 30 to 50 were found heavy indented from midship to portside and between frames 80 to 115 from midship to starboard side. Bilge keel on starboard side was missing on length of about 30 m. 3 blades of the propeller have turned and / or broken tip of each about 1000 mm length and about 100 mm wide. 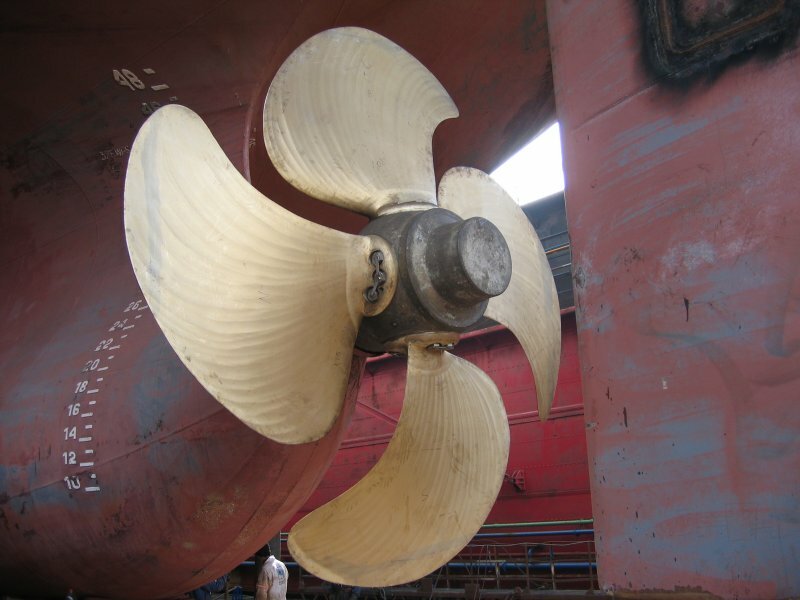 Two propeller blades have additional one crack of 100 mm length from broken edges towards centre. Paint on lower side of rudder blade was grinded off. The steel renewal quantity in way of bottom and adjacent areas was more than 85 tons. 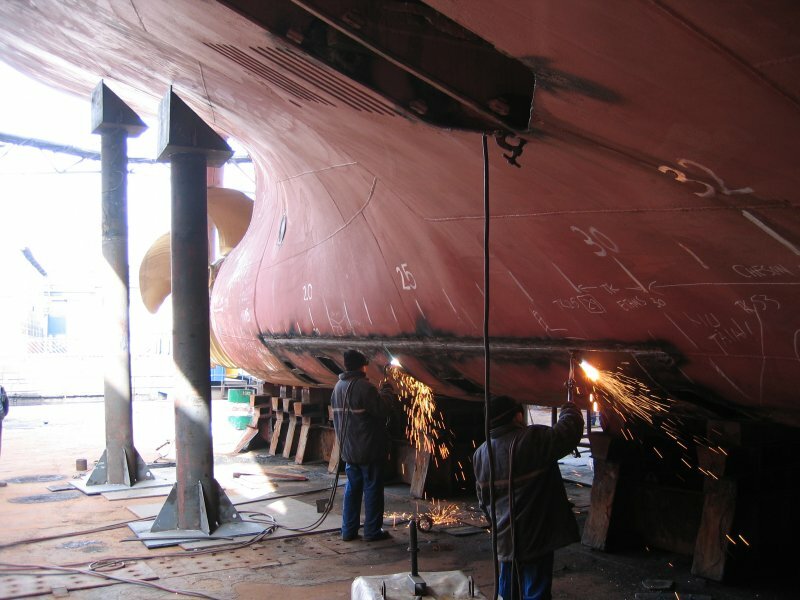 The damaged propeller has been removed and sent for specialised repairs to the Maker (LIPS). Finally the repairs have been concluded to the satisfaction of Owners and Class Society.